I usually make these together because there is a lot of ingredient overlap, but also because they go together awesomely. Some people like sour cream/mayonnaise in the guacamole, to make it creamy. I think its ok, but kind of unnecessary…up to you. Just chop everything up as finely as you feel like and combine. Garlic, vinegar, jalepenos, salt, lime juice is all to taste so just feel it out. 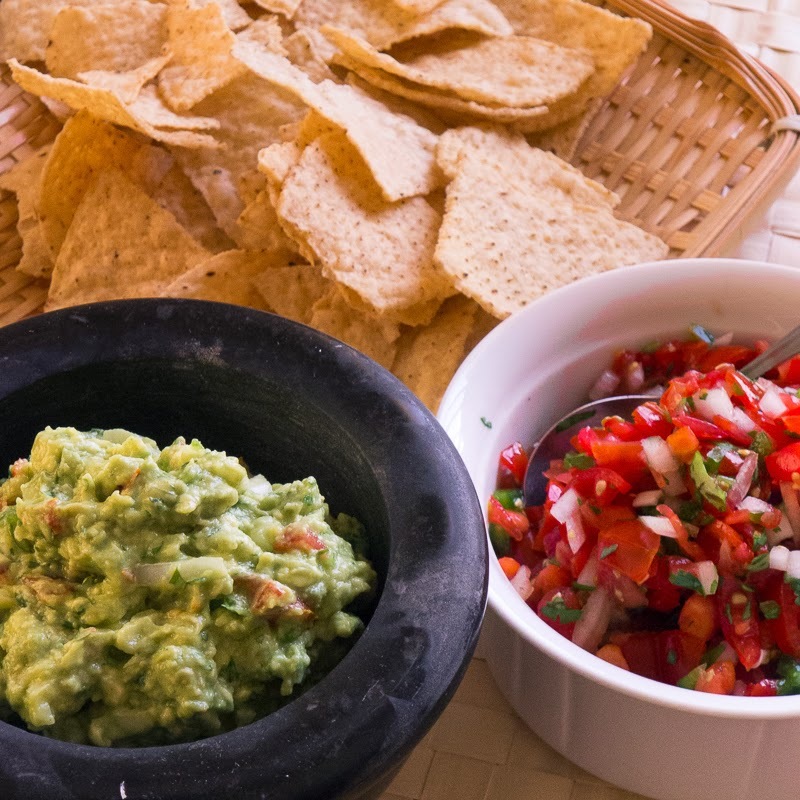 We like to get tortillas and cheese, maybe some refried beans, and make quesadillas on the stovetop (cook them in a lot of olive oil and salt for crispiness) and use the quesadillas to eat the pico de gallo and guacamole. You could also do tacos or just eat them with chips. Grab a six pack and this is a good summer feast!